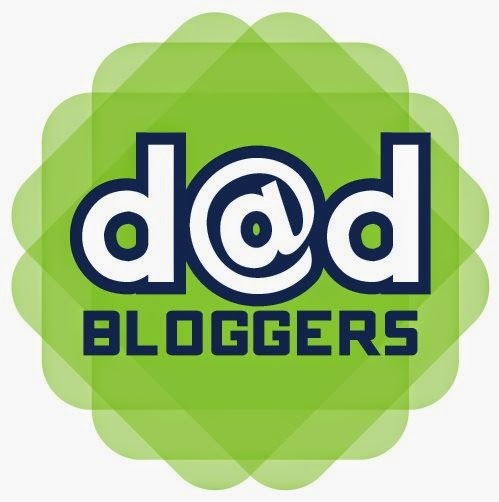 Dad Advice from NBA Legend, Dikembe Mutombo - Dad Don't Lie - a Dad blog out of Halifax taking an honest look at the journey through parenthood. 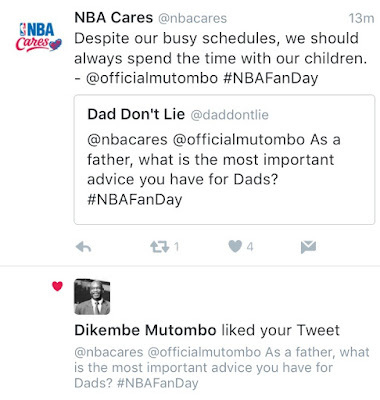 NBA Legend and Hall of Famer, Dikembe Mutumbo was on a Twitter chat on Friday for #NBAFanDay. 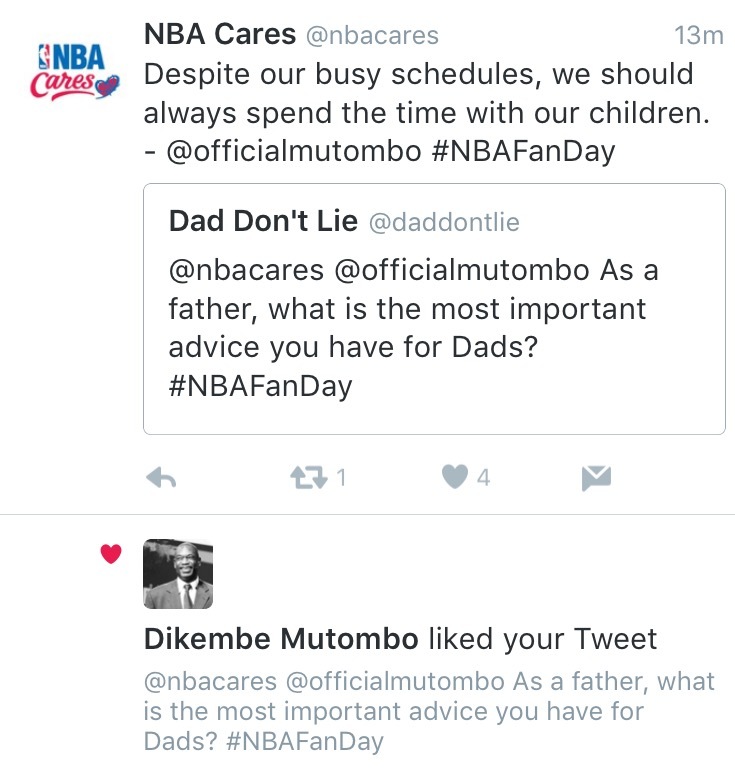 As the Global Ambassador for NBA Cares, Mutombo & @NBACares had a chat open to fans so I decided to join the conversation to ask him for some dad advice. Dikembe Mutumbo is widely known for his humanitarian work especially in his home of the Democratic Republic of Congo and is a father to six children, so it was only fitting to ask about some fatherly advice. 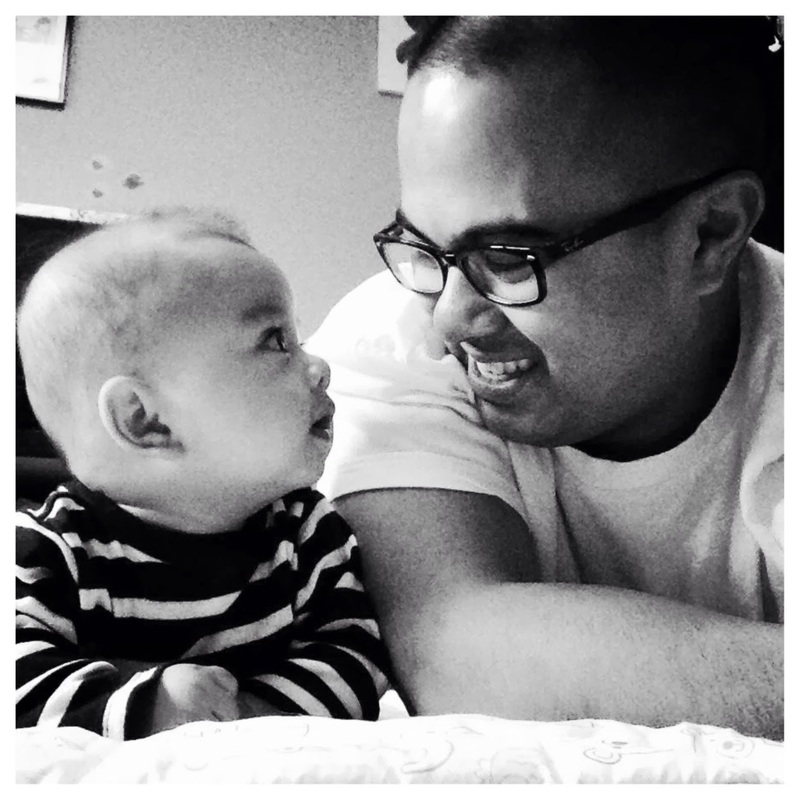 And does he think a hot dog is a sandwich? It was great to actually get in a question with an NBA legend whose career spanned 18 seasons and can still make people laugh to this day. 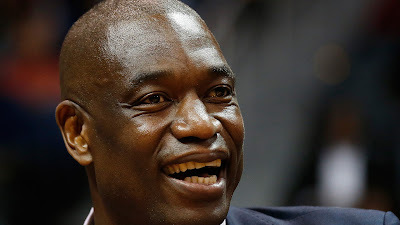 Check out the Dikembe Mutombo Federation at www.dmf.org and NBA Cares at NBACares.com.